One way of doing that is sporting a Holiday Jumper this season. At the holiday party or at a holiday pub crawl, a Christmas jumper is a great way to show off your holiday spirit. 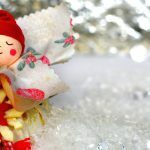 Or, if you are like the many men and women who take part in Christmas Jumper day (December 14 this year), you get the opportunity to wear your favorite holiday jumper for a good cause. In any case, Christmas jumpers are a great way to express yourself in a way that everyday dress may not allow. And if you are the nerdy type, you have many ways to express that as well. 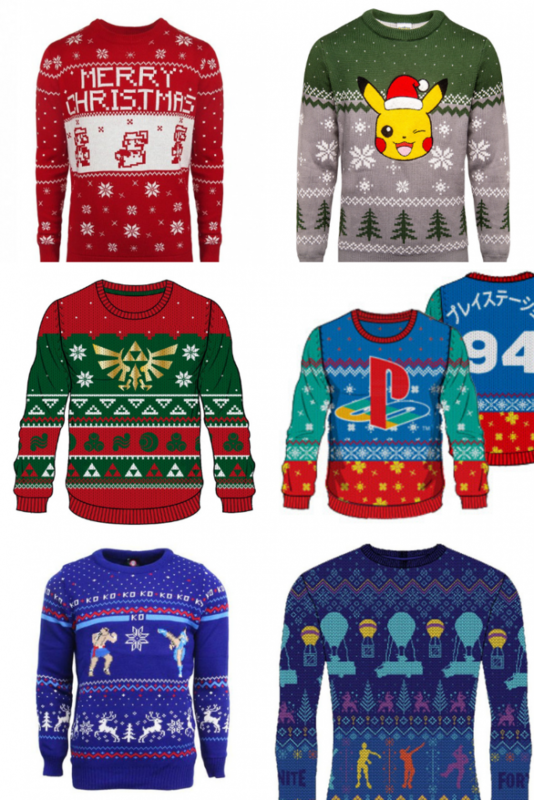 So, if you want to show off that nerdy side this Christmas, these geek Christmas jumpers are the best way to show off that geek side. For those of us at of a certain age, Christmas is synonymous with Super Mario. Some of us were lucky enough to open a new Nintendo Entertainment system on Christmas Morning and spend the rest of the school break playing Super Mario. Now you can express your love for the plumber with this Jumper. These famous Pocket monsters have enjoyed a resurgence since the release of the Pokémon Go app a few years back. Pikachu’s the perfect wingman for any holiday party. The legend grows with every iteration of the Zelda Franchise. Like Link, you too will go on a grand adventure. Only in your case it’s to find a refill of your favorite holiday drink. Whether you go old school like Crash Bandicoot, or you stay modern with Call of Duty, this Jumper will show everyone where your console allegiance lies. Nothing brought friends closer than the most popular fighting game. This Jumper will remind everyone of those nostalgic times. You will be flossin’ and Dabbin’ with the best of them when you wear this legit Fortnite jumper. That IS what the kids are calling it these days, right? Most Comic fans fall into one of two camps. They are either Marvel fans or DC fans. 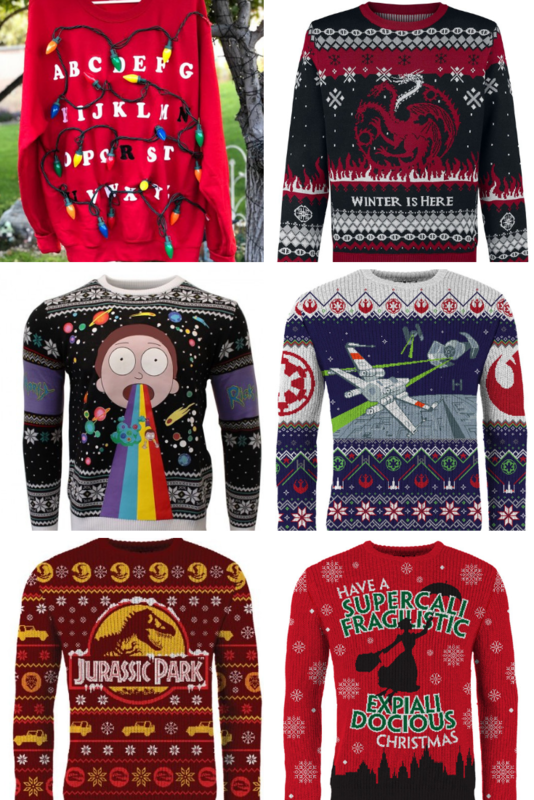 These jumpers will allow you to show your preference at any jolly gathering. With the upcoming animated film in theaters soon, this jumper would be a timely choice. It’s solid blue and red will allow you to stand out in a crowd. What’s the best way to show that you will stand for an ideal, no matter what the cost? With this Christmas Jumper, of course. The red, white and blue colors pop, while the Star on the front and back with draw more than the attention of the three kings. Haven’t you ever sat in an office and thought, I wish I could send half these people away with a snap of a finger? Well, you can’t do that, but with this Thanos Jumpers, you can make your feelings about your office mates known. Ever feel like you and your friends are a bunch of misfits banded together for one cause? This Guardians jumper, with the team in silhouette, is a great way to show solidarity with those you consider not only team mates, but friends. You will feel like a king in this black and purple jumper. The Panther logo is striking, and you will wish it was Christmas Forever. The S stands for hope, and so does Christmas. 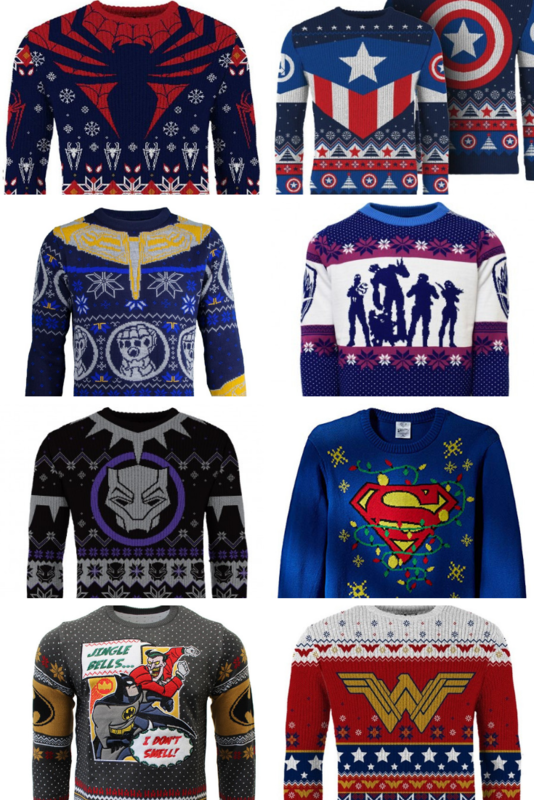 This festive sweater will make everyone feel like they are in the presence of a superhero. In the animated style that’s beloved by all, you will prove, once and for all, that Batman DOES NOT SMELL. He will also bash your head in if you think otherwise, so please be careful. Even though she has been portrayed as a fierce warrior, Wonder Woman has also been a symbol of peace. And isn’t that what Christmas is all about? You won’t have to fear the upside-down place with this jumper. It’s merry use of the famed alphabet wall may also remind you to get in touch with your mother from time to time. Winter is coming, and these jumpers will prepare you for it. 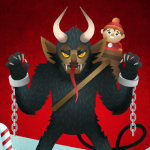 Just be sure you aren’t invited to any holiday red weddings this Christmas season. If you have a crazy relative who has tried to get you to join them on mad adventures, this jumper is for you. Perfect for the pub crawl or interdimensional travel. A long time ago in a Galaxy far, far away . . . You won’t have to turn to the dark side wearing this merry jumper. For an even more fun time, grab a few friends or a partner, deck yourself out in Star Wars Jumpers, and then see if you can sit through the infamous Star Wars Christmas Special. Christmas may be the celebration of the birth of Jesus, but if you have a more evolutionary bend, this jumper is for you. Remember to stay very still when you wear this jumper, because you never know when a (inflatable) t-rex shows up to cause havoc at your party. Mary Poppins returns this Christmas to bring joy and happiness, like a certain jolly man in a fat suit. This jumper will show that you have a fun sense of adventure, a dry sense of humor, and a warm heart. You can find all these and many more jumpers that fit your style at Christmas Jumper Club. Their vast selection will fulfil all your holiday jumper needs. So, go out, have fun, be safe, and remember that Christmas Jumpers not only show your holiday spirit, but are also great conversation starters. And you never know, you might end up making a friend or two this holiday season, and isn’t that the best gift of all?